Expand search to view more listings in and around Syosset. See more offices in and around Syosset. 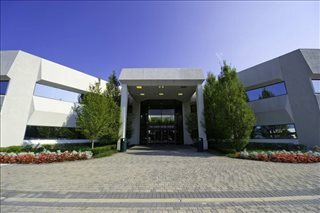 Offices.net has 1 office center with immediately available space for rent in Syosset. Offered furnished, with high spec cabling and quality fittings, the executive business suites, shared work space, hot desking and coworking spaces are ready for you to move in and get straight to work. The business space we feature gives you space in a professional environment with business supports and a prime business address without the overheads and long-term commitments of multi-year leasing. Regardless of the size of your company or what specific requirements you have, we have an outstanding selection of offices to suit your needs in Syosset, New York. With flexible rental agreements and a range of professional business support services and facilities included, the above listed Syosset office space is available to suit you. Numerous business centers that we feature offer offices that are fully furnished and equipped, making setting up a very fast process. Some of the serviced offices can also be configured to meet the needs of your company. Many office providers will customize the space for you and even give you the freedom to decorate to give you more control over your team culture and brand image. Choose any of the Syosset offices for rent listed above. All of the office space and business premises are available on flexible rental terms to suit your needs and are located in prime Syosset business positions. Offices.net has an impressive selection of outstanding office space in other New York locations, all available on terms to suit your needs. Whatever your office requirements, contact us using the form or phone number on this page.